Flat pack kitchens have come a long way since they first hit the home renovation scene. Over time they have gone from being associated with inferior quality and poor durability to being constructed from the finest materials and reflect the latest trends in the industry, and that’s what we offer at Kitchen Shack. Your kitchen is the workhorse of the home. If you want it to last, it’s wise to invest in quality materials for your cabinets and drawers. Pieces made of particleboard of any type (such as stapled and veneered) as well as cheap medium density fibreboard (MDF) should be avoided. Whenever possible, choose flat pack kitchens that use high-quality moisture resistant double-sided melamine faced particle board and features (this includes the framing). Some hardware can be easily replaced and updated as the years pass. But there are some features that you should focus on, such as the hinges and drawer runners. If you can, choose quality drawer runners and avoid integrated rail drawer guides. Check the hinges to make sure that they allow you to smoothly and seamlessly open up the cabinets. Kitchen Shack offers a lifetime warranty on all of our hinges so you can be sure that your cabinetry will function properly throughout the lifespan of your flat pack kitchen. There are some flat pack kitchens on the market which come in standard sizes. This means that not every flat pack kitchen will properly fit in your kitchen space. Fortunately, the widths of our cabinets here at Kitchen Shack can be tailored to suit any kitchen. 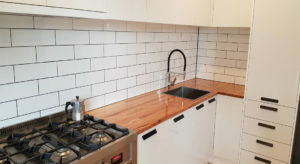 Once you provide us with the measurements of your existing space, we can present you with the best kitchen renovation options available and are within your budget. This article explains how to accurately measure your kitchen if go down the DIY path. Who wants a boring, run-of-the-mill kitchen? Make your flat pack kitchen your own by looking for those with customisable features. A lot of flat pack kitchens on the market are fairly limited in what can and cannot be customised. Here at Kitchen Shack, not only do we offer a range of cabinet widths, but we also offer special colours upon request. It’s incredibly important that the flat pack kitchen you choose is backed by a solid guarantee. We stand by our products and offer a 10-year guarantee on our flat pack kitchens. If there is ever an issue with any of our cabinetry, give us a call and we will help. We invite you to book your kitchen design appointment with Kitchen Shack today. 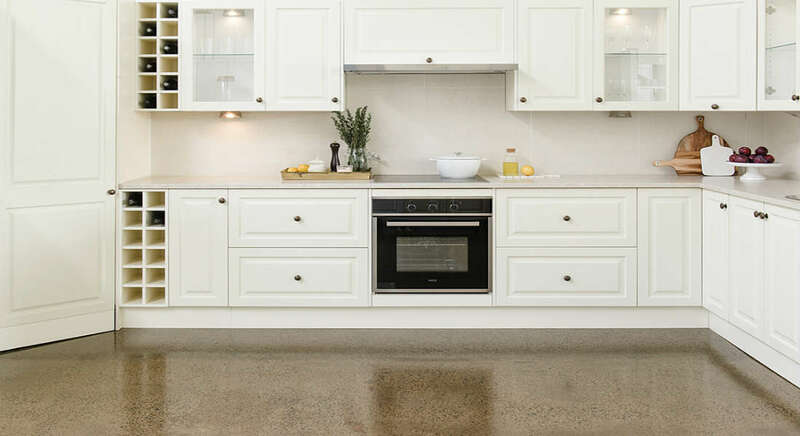 Our conveniently located showrooms are in Preston, Kilsyth, and Maribyrnong. Save time and start building your dream kitchen sooner by booking a kitchen design appointment with us either online or by giving us a call!